With an event app Worksup you can add multiple pictures to the panel discussion or any other agenda element. This is especially handy if you want your audience to know who exactly are taking part of the session, how they look like or if the person represents the brand – like Richard Branson represents Virgin company, so you can add a snap of him and his company’s logo. 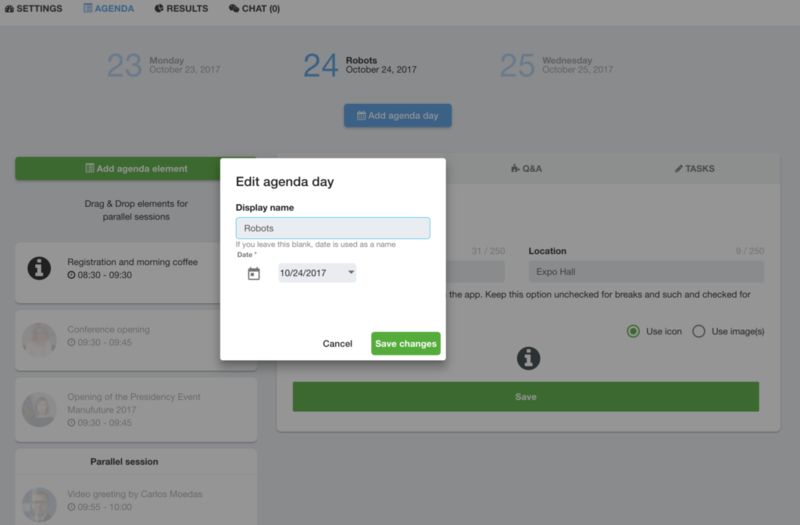 You can name your agenda days and give specific names to the parallel tracks taking place at different times and different locations. If you leave this section blank, date is used as a name. You want your audience to know more about the client’s product or service? Or promote their brand? Or share their presentation slides? 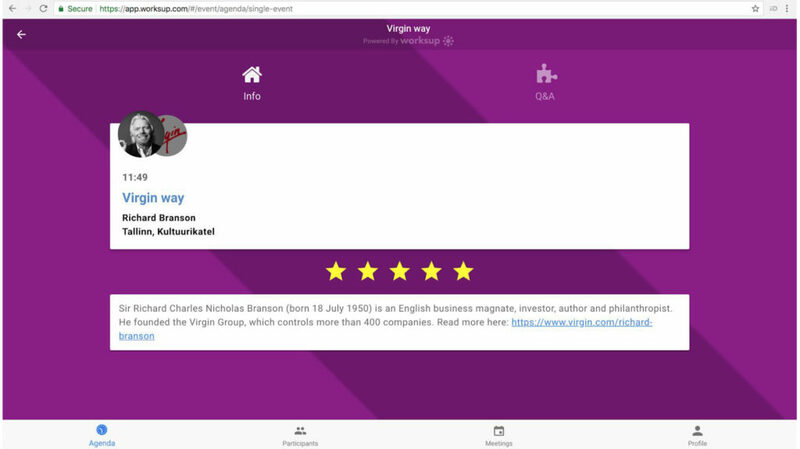 You can add presentations or any other links to the agenda element like we did with Sir Richard’s bio on few picks back up. With text tasks you can sum up the discussion by showing the audience the word cloud of all the answers. Showing the most popular words or phrase can easily create a wow-effect in the room. Different projectors and screens have different resolution. Before the event check and if needed resize the proportions of the text. For this, tap on the green button down on the right and choose T and optimize. Also, you can switch between bar or pie diagram from the same menu button. 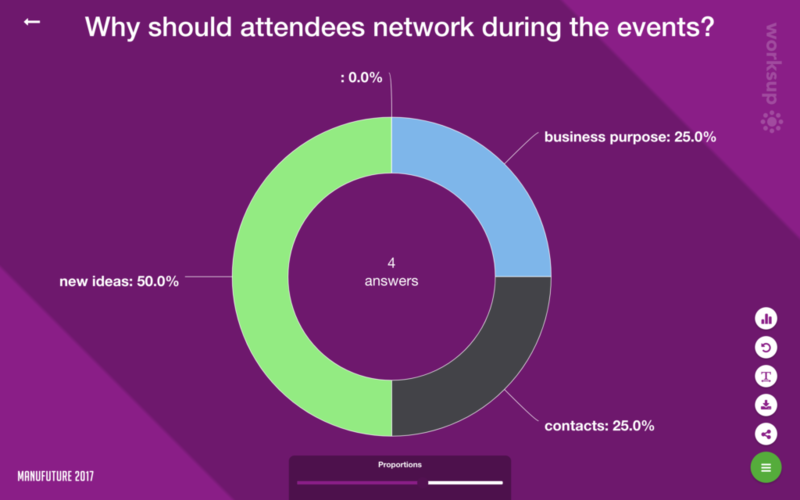 Events are even greater if there is a prize to win.This could add a bit of excitement for the attendees to use an interaction and networking app like Worksup. So, you wonder how to do it with Worksup? You can create a poll or polls and ask them to add their name or email. Later if you download the results, you can use online winner picker wheel or something similar to know whose the winner. You can download the results from the admin panel. As an event manager you can share the event’s id or link before the event, which gives an opportunity for the attendees to scroll the agenda, chat with an organiser and network and plan meetings. You can also download the pics of the graphs and share them with media or attendees after the event. Download pics from the green menu button or share live links to the result from the same menu. If you are building an agenda and do not have any pictures or icons on your desktop, then no worries! Worksup interaction app has got you covered. 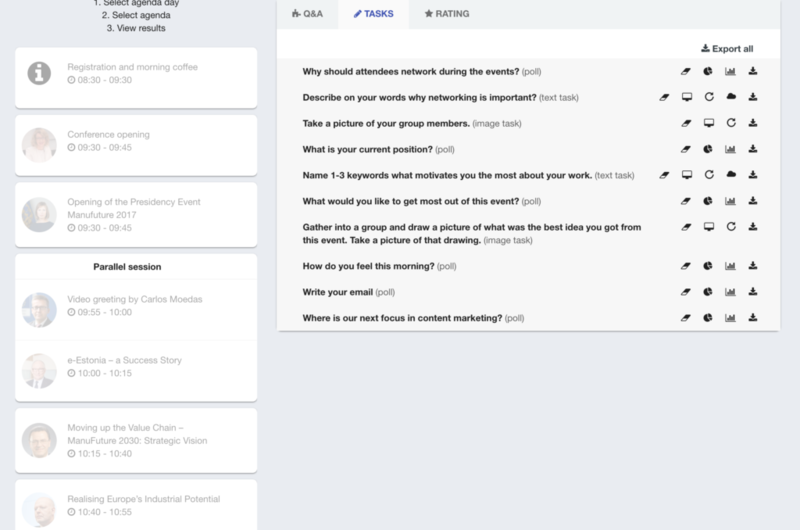 Under agenda element choose “use icon” and pick an icon you like the most to visualise your agenda.